Our Quick Connections magazine is distributed to more than 2,300 housing professionals and our e-Alert newsletter is emailed to about 5,000 subscribers each month. 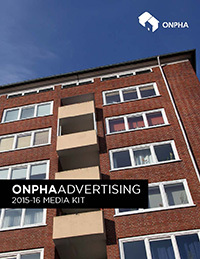 To learn more about how to advertise in Quick Connections or ONPHA e-Alerts, please download the 2015-2016 ONPHA Media Kit, email communications@onpha.org, or call toll free 1-800-297-6660 ext. 128.